Whether you knit, sew, crochet, or quilt (just to name a few!) there are many ways of using your talents to provide comfort and care to others in need. We will have on hand examples of various projects that the team has worked on and you are invited to bring yours to share with us. Beginning knitters are welcome. Instructions for a quick and easy knitting project and yarn are included . Bring a pair of size 8 or 9 knitting needles with you. Connie is a retired educator who spent more than 30 years running a two-year business college she co-founded with her husband. 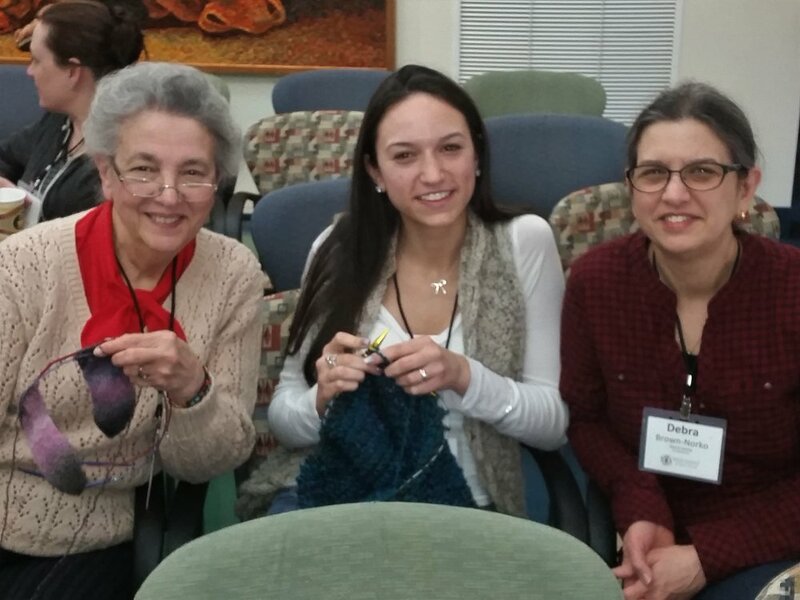 She now spends her time teaching knitting and creating blankets and prayer shawls for others. Connie’s daughter Debra is a retired pediatrician and currently a Divinity student at Yale. Although she can knit, she does not do so obsessively. Joanna, Debra’s daughter, has inherited her grandmother’s gift. When she is not working on her Master's degree, her service projects include squares for Vets, no-sew blankets for cancer patients, and helmet liners for our soldiers overseas.